Trimming a tree. It has different meanings, different times of year. 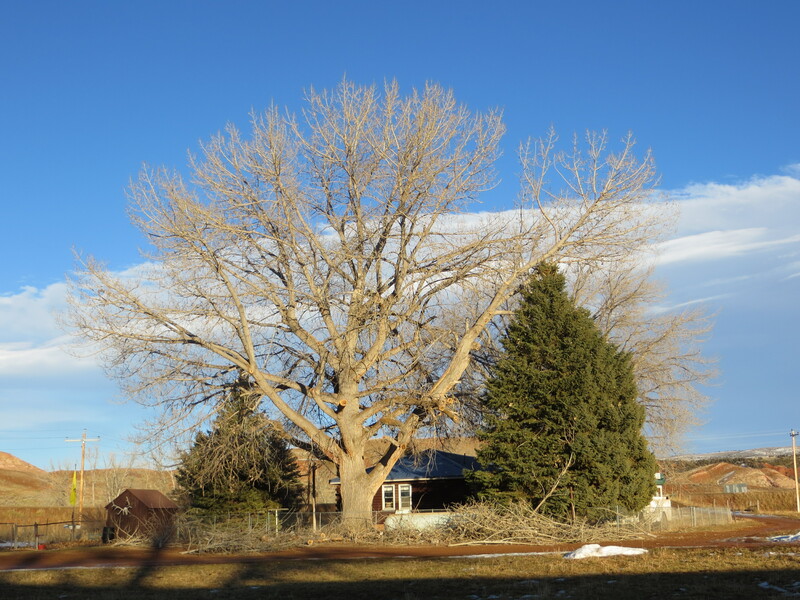 This year, it means both for us… Our huge cottonwoods are getting trimmed back… Branches with cracks, widow makers, limbs over the house, they’re all disappearing. Believe it or not, they had this done some twenty+ years ago… and it’s past time again. I hope your tree trimming goes better, as I’m pretty sure you can reach all of the branches on your trees! This tree seems to very ancient. I am amazed by how they are taking this risk to trim such a tree. How will they trim the top most branch ? If you’re trimming heavy tree limbs, you have to be extra careful not to damage the bark or interfere with the tree’s natural healing response. That tree is really trying to grow. It looks risky to be around. I heard that trimming can increase tree health as well limit safety risks. 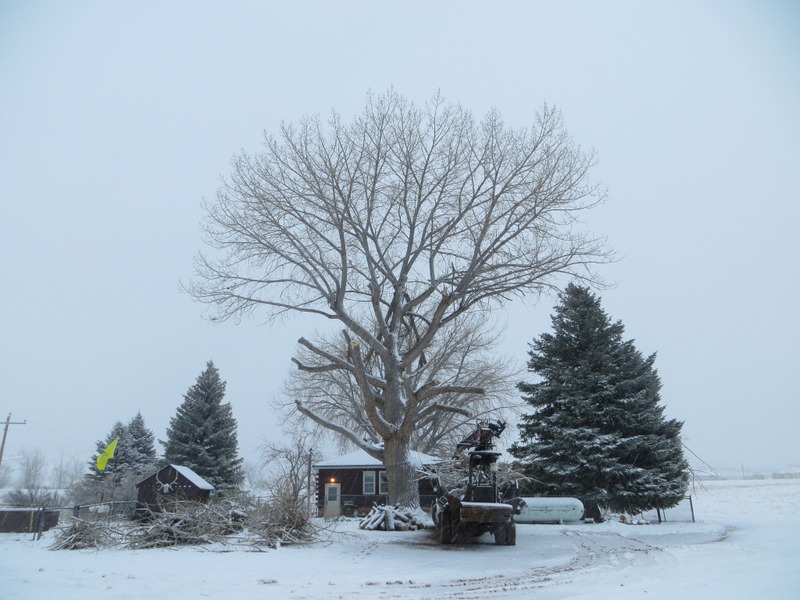 To cut a large cottonwood tree is very nasty; one should ensure that cooling equipment which supports your production process halts clean because if your cooling process fails due to system polluting, then production will fail as well. I cannot believe how overgrown those cottonwood trees are! I have a similar problem with overgrown trees in my yard. I’m hoping to find someone with a truck that extends up quite a ways to get the most trimming done as possible, like you mentioned.Thanks for sharing your tree trimming experience! That tree you have is so massive. I can see how trimming it could be a challenge. The second picture looks a little funny. It’s like the tree is a big mushroom. Although, it does look better, overall. I think your tree looks kind of cute with only half of its branches trimmed! However, it probably would have been nice to get some machinery that could reach a bit higher up. I hope that you were eventually able to trim all the branches. Thanks for sharing, and for the good tree trimming wishes! Not every branch is reachable in large trees. This tree seems to very ancient. I am amazed by how they are taking this risk to trim such a tree. How will they trim the top most branch ? Good thing you contact tree removal service people. They are experts when dealing with tree cutting and removal stuff. It looks good. You still have a “whole lotta tree”. Your propane tank looks somewhat like mine. How often do you check the % in cold weather? I enjoy your photos and posts very much, thank you. I had a large Cottonwood. A bad wind storm blew it over. I sure do miss it. Yours is and will be again, beautiful. I ended up hollowing out the stump and planting ferns and flowers in it.